Here is a little gift from us to you! 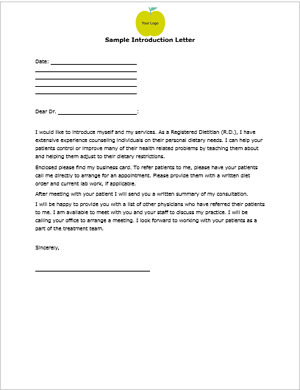 A complimentary introductory letter to use to introduce yourself to physicians and other health care providers as you grow your practice. 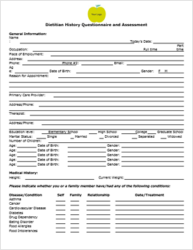 Feel free to download this form, customize with your logo and contact information and send out to potential referral resources for your business. We hope this makes it easier to grow your practice. Be sure to check out the complete Be Your Own Boss Starter Kit for a comprehensive packet of the top 20 essential office forms you need to get started. These forms are sure to save you time, while still being customized for your business brand, so you can work on growing your practice! Category: Customized Nutrition Office Forms.